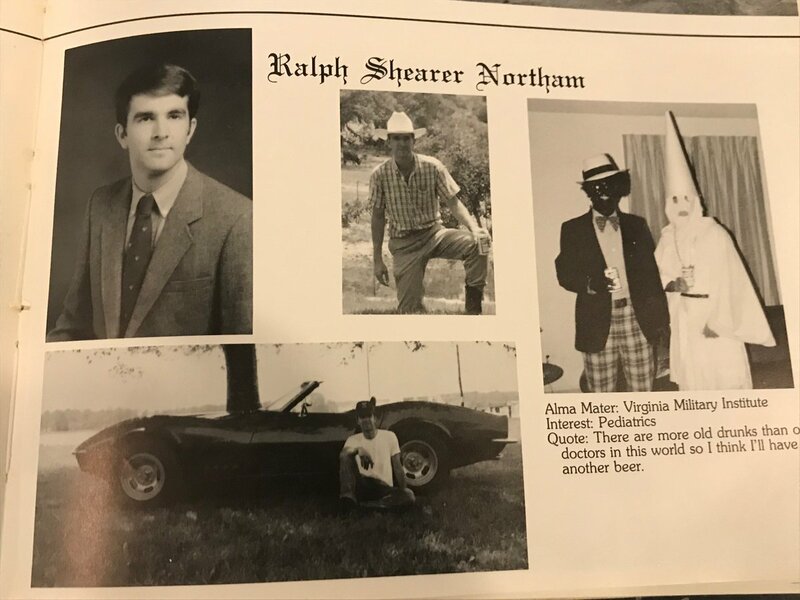 EXPOSED: Blackface, Klansman photos found on Gov Ralph Northam’s yearbook page! Someone isn’t happy with Gov. Ralph Northam. 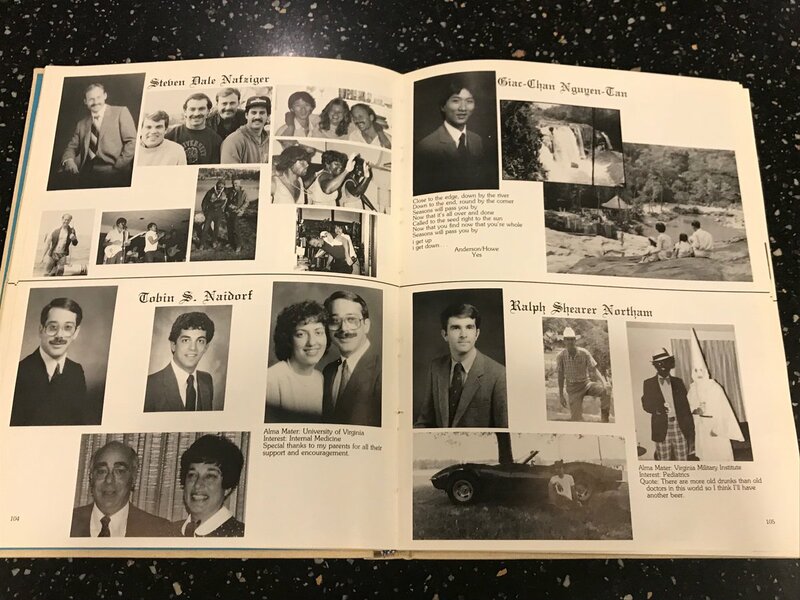 It’s just being reported that Virginia Governor Ralph Northam’s 1984 yearbook page has photos of a Klansman standing beside a man in blackface! It’s in his section of the year book, which means one of those standing in the photo is him! Yikes! This is like the worst case scenario, having both blackface and the KKK in the same photo! And this was published in the Washington Post, so it’s gonna be all over the place. Maybe the left doesn’t care about his radical views on abortion, but I bet they will care about this! Bye Ralph. I’d say it was nice knowing ya, but it really wasn’t.